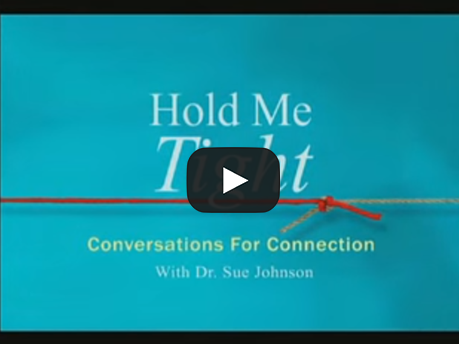 Based on the principles of Emotionally Focused Couples Therapy (EFT) developed by Dr. Sue Johnson and dedicated to the establishment and promotion of secure bonds and loving relationships. 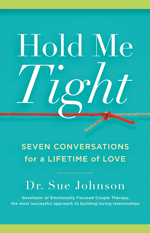 Hold Me Tight® Workshops were developed by world renowned relationship expert Sue Johnson to strengthen and enrich relationships. The Workshop is based on the principles of Emotionally Focused Couples Therapy (EFT), a modality of couples therapy which Sue researched and developed. HMT® Workshop’s are available globally and offer participants a scientific understanding of love and the hardwired need for connection inherent in human beings. It provides a proven roadmap to a safe, secure and more loving relationship. The HMT® Workshop offers tools to transform your relationship into a supportive, nurturing and loving experience. For additional information please visit our HMT® website at www.HMTTexas.com or click on "Read More" below.